Scotland’s seas are a dynamic, productive and busy space. Until recently we didn’t have a marine planning system for Scotland’s seas (on land, there has been a planning system for half a century) and this has created a less than ideal scenario where different, sometimes competing, sectors have developed in isolation. With the designation of the Marine (Scotland) Act in 2010, Scotland received a mechanism for delivering a National Marine Plan and, from this, a Regional Marine Planning (RMP) process. RMP is a process which has been taking place with regards to the management of activity within Scotland’s national seas (extending out to 12NM) and is being led by Marine Scotland. RMP regionalises national seas into Scottish Marine Regions and sets up Marine Planning Partnerships whose function involves stakeholder engagement, data collection and the development of plans and reviews. The powers under RMP don’t include licensing or consenting as these remain the responsibility of consenting bodies such as Marine Scotland and Local Authorities. Currently it is Local Authorities, Regional Inshore Fisheries Groups, local Coastal Partnerships and their umbrella body, the Scottish Coastal Forum, which are being described as the main players within the development of regional plans. If your community group is interested in finding out more about your Regional Marine Planning Partnership and how you can become involved then we encourage you to get in touch with Marine Scotland to find out more information. Most of Scotland’s and the UK’s environmental management is directly influenced by global and regional conventions, treaties and protocols. The Convention on Biological Diversity was adopted at the Earth Summit in Rio de Janeiro, Brazil, in June 1992, and entered into force in December 1993. As the first global treaty to provide a legal framework for biodiversity conservation, the Convention established three main goals; the conservation of biological diversity, the sustainable use of its components and the fair and equitable sharing of the benefits arising from the use of genetic resources. Filtering from this there is international cooperation to protect the marine environment of the north-east Atlantic, which is achieved through the OSPAR Convention which commits Scotland to developing an ecologically coherent network of MPA sites. This in turn plays a key role as one of the co-ordinating mechanisms to help European Union Member States meet the obligations of the EU Marine Strategy Framework Directive (MSFD). The 2008 European MSFD committed the Scottish Government to deliver an MPA network to meet national and international commitments and deliver a well-managed network of sites by 2016 – with ‘Good Environmental Status’ to now be delivered in Scottish waters by 2020. To implement the MSFD and comply with the OSPAR Convention the Marine (Scotland) Act (2010) and the UK Marine and Coastal Access Act (2009) were transposed and included with them new powers and duties to designate MPAs in order to protect features of importance to Scotland. 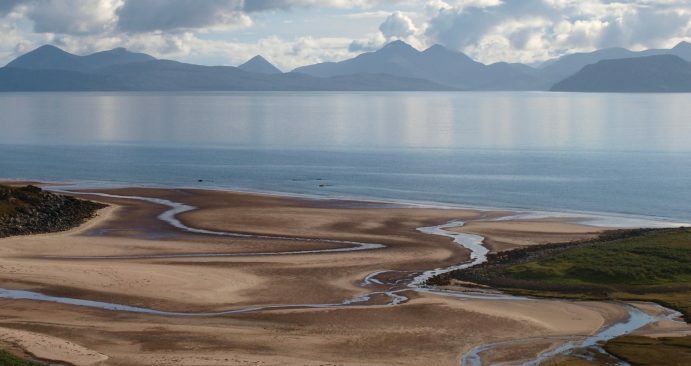 The Marine (Scotland) Act 2010 includes provisions to designate MPAs for Nature Conservation MPAs (for biodiversity and geodiversity features), for Demonstration & Research MPAs and for Historic MPAs inside 12NM. Scottish waters beyond 12NM are covered by UK legislation. Read more about Scotland’s MPAs here. The Marine (Scotland) Act 2010 therefore applies specifically to Scottish territorial waters only, and comprises 5 key elements: a strategic marine planning system; a streamlined marine licensing system; improved marine nature conservation measures; improved measures for the protection of seals; and improved enforcement measures. The directive for policies relating to fisheries management in European waters is the Common Fisheries Policy (CFP), which applies throughout the 200NM fishing zones of all European Commission member states. Read more on this on the ‘Fisheries’ tab section. Also worth briefly noting is the Water Framework Directive (WFD), and Scotland’s marine Natura 2000 sites. WFD established a framework for nationally coordinated action in the field of water policy within the European Union. In Scotland this is implemented by the Scottish Environment Protection Agency (SEPA) and applies to coastal waters out to three miles. Natura is the term given to Special Areas of Conservation (SACs) and Special Protection Areas (SPAs). These internationally important sites are designated respectively under the Habitats Directive and the Birds Directive. The Birds Directive on the conservation of wild birds protects all wild birds, their nests, eggs and habitats within the European Community. It gives member states of the European Union the power and responsibility to classify SPAs to protect birds which are rare or vulnerable in Europe, as well as all migratory birds which are regular visitors. The Habitats Directive on the conservation of natural habitats and of wild fauna and flora was adopted in 1992 complements and amends the Birds Directive. In Scotland, the requirements of the Habitats Directive are translated into specific legal obligations by the Habitats Regulations. The above is not a comprehensive list of legislation, for more Acts see here. Scottish fisheries are rich in tradition and culture and are worth celebrating for the benefits that they bring – now and into the future. Just like the topographical diversity of Scotland’s east and west coasts, so too are there vast differences reflected within Scotland’s fishing practices. The large scale offshore fishing capacity of the relatively small number of large ports in the north east contrasts with the west coast, which contains mostly inshore fishing activity, with small vessels (and higher numbers of part-time fishers) and the majority of landings accounted for by shellfish. There are also contrasts within other regions – such as Shetland and Orkney. Shetland shares a strong involvement in demersal fisheries with the north east coast (but with a much higher level of part time employment), while Orkney attaches a relatively lower level of importance to fishing – and in terms of sectoral involvement and employment they are closer to the west coast models. Marine protected areas (MPAs), although not designed as a fisheries management tool, have been established in various areas of Scotland’s seas – bringing with them management which can impact upon fisheries, although ultimately designed to enable ecological conservation and recovery. The Directive for policies relating to fisheries management in European waters is the Common Fisheries Policy (CFP), which applies throughout the 200NM fishing zones of all European Commission member states. 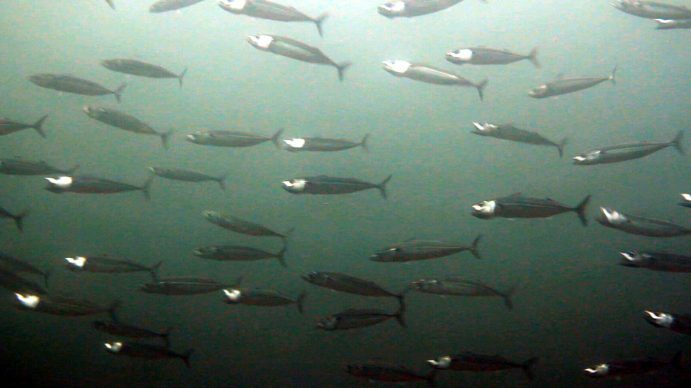 The CFP uses control mechanisms, such as: seasonally closed areas to protect spawning stocks, effort limitation (days at sea), total allowable catch (TAC) quotas and discard management. Big changes in the direction of policy were first signalled by the reform of the CFP in 2002 and again in 2013, when changes to total allowable catch (TAC) and complete discard bans were enforced. Now, of course, there will be many changes ahead when the UK withdraw membership of the European Union. 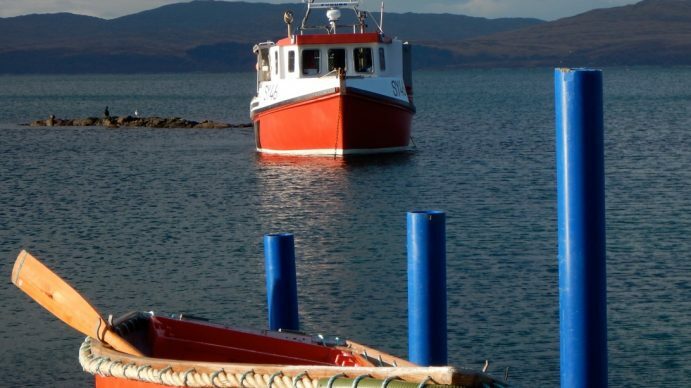 Recently, the Scottish Creel Fishermen’s Federation (SCFF) published a paper on “Correcting the misallocation of Nephrops stocks in Scottish inshore waters and untapping a vast economic (and environmental) potential”. In October 2014, the review submitted its final report and 54 recommendations. Following on from the Review, Marine Scotland has embarked upon a programme of Wild Fisheries Reform. 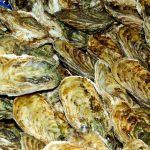 During 2015, a consultation paper was published which set out the Government’s response to the Wild Fisheries Review. The consultation closed in August 2015. The responses have been considered and the analysis has been published. A consultation paper on Draft provisions for a Wild Fisheries (Scotland) Bill and draft Wild Fisheries Strategy was released in February 2016. The consultation closed in May 2016. The responses have been considered and the analysis has been published. Is guided at all times by our core values of excellence, commercialism, collaboration and integrity. This act – which also governs The Crown Estate which operates in England, Wales and Northern Ireland – established the commercial lines on which CES must operate. Under the act, CES must maintain and enhance the capital value of the estate and its revenue. It also includes a duty to ensure ‘good management’ as well as securing best consideration. In practice, this means obtaining market value (for leases, sales and other transactions) while contributing to Scotland’s economic, social and environmental well-being and prosperity. The 2016 Scotland Act prepared the ground for devolution by enabling HM Treasury to establish a ‘transfer scheme’. This secondary legislation transferred Scottish functions of Crown Estate Commissioners to Scottish Ministers. These powers consisted of property, rights or interests in land in Scotland and rights relating to the Scottish renewable energy zone. This Order established Crown Estate (Scotland) Interim Management as a public corporation, directed by its board, to oversee the management of the Crown assets in Scotland. The board is appointed by Scottish Ministers and regulated by the Commissioner for Ethical Standards in Public Life in Scotland. The Scottish Government has committed to bringing forward the Crown Estate Bill within the 2017/18 parliamentary year. The bill will establish a longer-term framework for the management of Crown Estate assets in Scotland. Previously the Crown Estate introduced Local Management Agreements (LMAs) to enable coastal communities and organisations to manage areas of seabed and foreshore. A local management agreement is a formal agreement between the Crown Estate and a local partner (which must be a not-for-profit organisation), which gives a degree of exclusivity over relevant areas of Crown foreshore and/or seabed. You can read more about LMAs and download information sheets from within the Communities & Conservation pages of the Info Hub. More recently, the Crown Estate Scotland has launched a new scheme that will enable local authorities, development trusts and other bodies to apply to manage assets in their local area. Read more here and at the Crown Estate Scotland website. 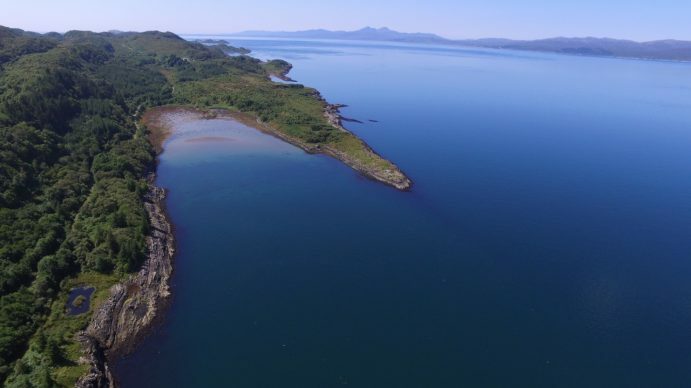 Marine Scotland is the Government management body responsible for leading the protection of Scotland’s coastal waters and seas – it is required to both build sustainable economic growth from Scotland’s marine assets, and to safeguard its marine ecosystems. Marine Scotland is responsible for the Marine (Scotland) Act and devolved areas such as fishing. It is also responsible for Marine Planning; Protecting the Marine Environment; Marine Renewable Energy; Salmon & Recreational Fisheries; Aquaculture (Scotland’s fish and shellfish farming industry); Sea Fisheries; Compliance (the enforcement and regulation of Scotland’s Seas); Licensing (fishing vessel, seal, freshwater fishing and marine licensing); Science & Data; and managing Scotland’s seas for sustainable development. Click here for a map of Marine Scotland’s marine offices, and here for links to their main contact numbers. It is SEPA’s responsibility to protect and maintain a safe, healthy and sustainable environment for the people of Scotland; to ensure that business and industry is aware of and complies with environmental regulation; and to warn and inform the public in the event of environmental incidents. It is the Agency that provides advice and guidance on environmental issues and leads in local and national level scientific studies and research. Although SEPA is Scotland’s principal environmental regulator, there are issues that fall outside of their areas of responsibility, which are looked after by other agencies and organisations. SEPA has 22 offices throughout Scotland. To locate the office nearest to you check their interactive map, where you can also get contact details and information on other services available at your local office. Here is a guide to help you decide who to contact based on your particular issue, and you can contact SEPA here if you need more help. SNH is the nature conservation advisor to the Scottish Government. Their purpose is to promote, care for, and improve Scotland’s natural heritage; to help people enjoy nature responsibly; and to enable greater understanding and awareness of nature. SNH do this by providing advice to the Scottish Government and its agencies, local authorities, developers, land managers and others. They advise on how best to meet Scotland’s international obligations as well as legal requirements to protect and enhance Scotland’s nature and landscapes. SNH operates a network of Area offices serving the country, organised within seven Area Management Units. To find your local office and contact information, you can select your Area from this list or map.